3 Amp Brown, Blue & Earth H03VV-F Light Duty Flexible Circular Wire for Indoor uses up to 300V mainly used in Decorative, Vintage and Stately Buildings Lighting to Provide a Traditional Look and Style. 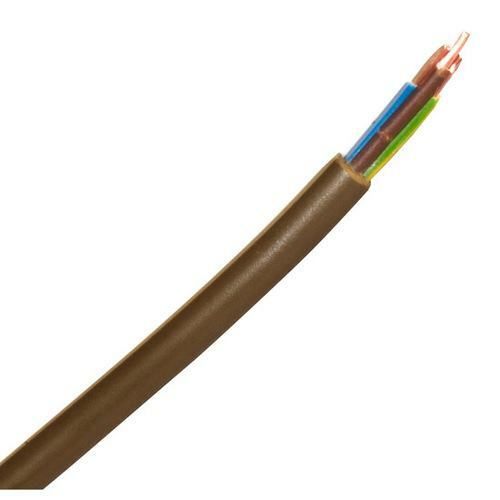 General purpose flexible PVC cable suitable for use in dry domestic, commercial, indoor and outdoor conditions. It can be used for general electrical and security applications such as lawnmowers, Power Tools, Table & Floor Lamps, Radios, office equipment, lighting pendants, CCTV, Intruder Alarm and Access Control. Excellent service, product and delivery even though small order. Would use again.